Known for its mild climate, colonial architecture, and fantastic scenery, the city of Kandy remains an important religious center and place of pilgrimage for Buddhists today. Located two hours south of Kandy, and carpeted in lush green with views of mountains and ravines, is the island’s Tea Country, one of the world’s largest exporters of tea. Upon arrival at the Bandaranaike International Airport, you will be met by a Sri Lankan Airlines representative and accompanied through passport control, customs, baggage collection, and money exchange to the arrival lounge. Here, you will be introduced to your private guide and travel companion, who will address any last minute questions you may have regarding your itinerary. 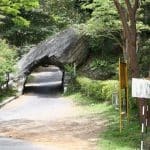 You will be transferred three hours by car to the city of Kandy, at the center of Sri Lanka, located in the lush hills of the Kandy Plateau. Check into your accommodation, an elegant boutique hotel surrounded by jungle and displaying a combination of Sri Lankan and Dutch architecture. The old home of one of Kandy’s wealthiest families, this hotel features rooms that are each uniquely decorated with antique furniture and overlook a central courtyard. Throughout the property are secret gardens, an infinity pool surrounded by lush jungle, and double hammocks in which to relax. Dine at the hotel tonight, choosing from a selection of oriental and western dishes infused with Sri Lankan flavors. Enjoy breakfast this morning on your veranda before beginning your day exploring the city. 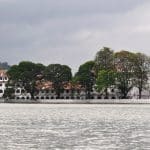 First, you’ll visit the Royal Botanical Gardens, which were established as a garden for the Queen’s enjoyment in the 14th century, and later became part of a Kandyan Prince’s residence in the 18th century. Wander through the tranquil, immaculately designed lawns, pavilions, and plant houses, enjoying the tropical vegetation of the island’s largest botanical garden. During the 1815 arrival of the British, an estimated 30,000 elephants lived on the island. By the 1960s, however, the population was close to extinction. Today, following an initiative by the Sri Lankan government, there are approximately 3,000 elephants on the island. The elephant orphanage you’ll visit is home to about 60 elephants who were found abandoned or orphaned in the wild. The elephants are fed and trained by the wildlife authorities, who hope to eventually release them back into the wild. You’ll have lunch at the orphanage this afternoon, and you may even be able to accompany the elephants to a nearby river for their daily bath. After lunch, stroll around Kandy and its pretty lake at the heart of the city. Next, you’ll visit the Temple of the Tooth, Sri Lanka’s most sacred site, and one of the holiest places of worship for Buddhists. Tradition relates that a sacred tooth relic of the Lord Buddha was brought to Sri Lanka in the fourth century AD, and was enshrined within the Temple of the Tooth. The temple is a magnificent shrine with decorative walls, a gold roof, and fine woodwork. Religious services featuring traditional music and drumming are held daily at dawn, midday, and in the evening, and can be viewed by visitors. Following breakfast this morning, you’ll board the train from Kandy to the heart of Sri Lanka’s Tea Country. A two-and-a-half-hour ride, this is one of the most scenic train rides in Asia. As you leave Kandy, dense jungle opens into a cloud forest that offers stunning views of tea bush carpets. You’ll wind around hairpin bends on lush hillsides, between immense peaks, and past tumbling waterfalls. Stop briefly at Nanu Oya, one of the highest train stations in Sri Lanka, close to Nuwara Eliya, a small town in the central highlands of the island, and considered the most important location for tea production in Sri Lanka. At an altitude of 6,128 feet, the town was established during the 19th century, and its architecture mimics that of an English country town with its brick walls and mock-Tudor half-timbering. Stop for afternoon tea at one of Sri Lanka’s oldest hotels. Continue on to your next accommodation, which is picturesquely tucked within the Ambewela mountain range overlooking a deep tea-bushed valley, and offers guests simultaneous seclusion and convenience with various major attractions located only a short distance away. Restored to a lovely five-bedroom home, your accommodation is an impressive two-story mansion which is surrounded by 30 acres of colorful gardens, and abundant tea and organic farmland, and which offers cozy rooms with period furniture and mountain views. Dinner tonight will be at the hotel, where meal preferences are discussed daily with guests who are also invited to choose from a huge organic garden on the property to create a salad for their meal. Enjoy an authentic Sri Lankan spread of rice with various different flavors of curry, after which you’ll have time to relax before bed. 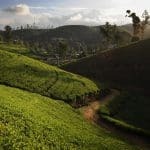 After a Sri Lankan breakfast of fresh fruits, rice patties, and homemade jams, you’ll travel even further into Tea Country towards the Golden Valley, where some of the best tea in Sri Lanka is grown and processed. En route, you’ll stop at one of the old planters’ clubs. Upon your arrival at your accommodation, you will be greeted by your butler, who will give you an overview of the property and discuss your dinner options. Enjoy the late afternoon at this lovely setting, 4,000 feet above sea level, in the heart of Sri Lanka’s tea growing country. 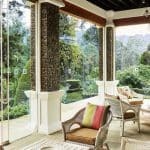 Choose from four classic colonial bungalows built between 1890 and 1940 for British tea estate managers, each with an eclectic style of its own–some surrounded by lush gardens with lake views, others with swimming pools, sundecks, and mountain backdrops. Within each bungalow, guests will find oversized rooms featuring four-poster beds, lavish bathrooms, and a large fireplace. Once you’ve had time to settle in, relax in the property’s lush gardens, enjoying the surrounding lake and mountain views. The gardens also feature sprawling sun decks, where various teas are served by the bungalows’ resident butler. Wake up this morning for Bed Tea, served by your butler, followed by a traditional English breakfast of eggs, sausage, mushrooms, grilled tomatoes, and freshly-squeezed juices. Begin your day with an introduction to the tea-making process, with a resident tea planter who will share insights into the growth and manufacture of tea, a process that has gone unchanged for over a century. You’ll follow the sloping tea trails to watch planters pick the tea, and then head back to the factory where the conversion to tea occurs. You may also choose from a number of hiking and biking trails throughout the area. Varying in distance, the trails wind through lush tea gardens, various estates, and small villages, and pass by an array of exotic flora. Return to your bungalow in time for a hearty meal this evening. After breakfast this morning, you will be transferred to the airport in time to meet your departure flight, or to continue on to your next Willing Foot destination.